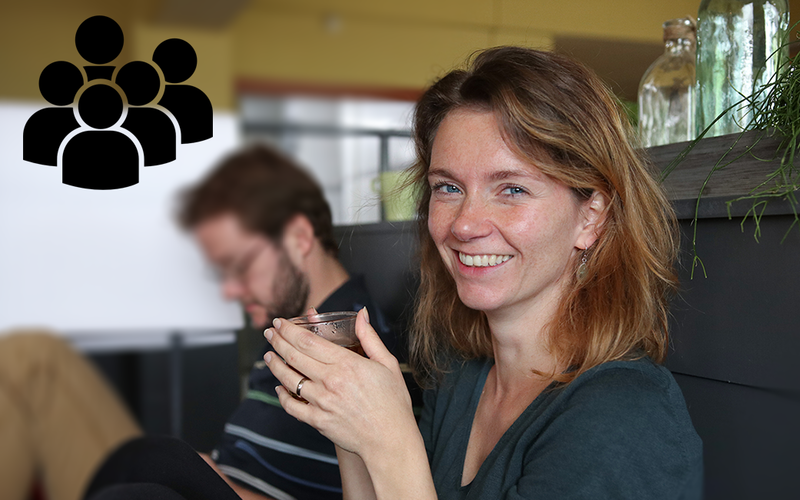 Post-doctoral researcher Annelinde Vandenbroucke is, sadly leaving the Donders Institute. We said goodbye to our dear colleague and asked her about her time in the Predictive Brain Lab. When did you join the Predictive Brain Lab? I officially joined the Predictive Brain Lab in August 2014 on a Marie Curie International Outgoing Fellowship. The first two years of this fellowship, however, I was situated at UC Berkeley in the US, so I only came to lab twice in those years. From September 2016 onward I was based at the Donders full time. What did you work on during your time with us? I mainly investigated the neural underpinnings of working memory representations and how these change under different conditions of attention. I also greatly enjoyed working with Tao He on his project about the effect of eye movements on working memory representations, and with Lieke van Lieshout on her project about the behavioral and neural mechanisms underlying curiosity. What are your fondest memories of the lab? What I really like about the lab is that everyone likes to hang out together, which resulted in frequent excursions, for example to have unlimited sushi for dinner. Also, the two-day retreats were lots of fun. Because everyone is so open-minded and friendly, the atmosphere in the group was great. I felt very much at home. I will miss all my smart, interested lab mates, my genuinely caring principal investigator Floris, the funny lunch memes, the international environment and all nice colleagues at the Donders. I hope my future, perhaps as a scientific or educational program coordinator, will have a similar work environment for me in store. Predattors/PreBrainers, you will be missed! We will miss you too, Annelinde!